Israel will return the remains on Sunday of a Palestinian killed by soldiers over a decade ago, an Israeli human right groups said on Thursday. 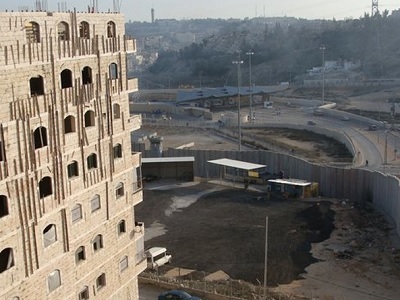 Israeli rights group Center for the Defense of the Individual (HaMoked), said in a statement that the remains of Ahmad Ayid Faqih from the Hebron area town of Dura, will be returned via the Tarqumiya checkpoint west of Hebron on Sunday evening. The remains matched DNA samples taken from relatives, HaMoked said. Faqih was killed on Dec. 27, 2002 after he and Muhammad Mustafa Shahin broke into the Israeli settlement of Otniel south of Hebron and opened fire inside a Yeshiva school. The attack killed two Israeli soldiers and two settlers before Faqih and his companion were shot dead in the ensuing firefight. At the time Faqih was 20 years old. The Islamic Jihad movement claimed responsibility for the operation, which came at the height of the Second Intifada, a Palestinian uprising in the 2000s against the decades-long Israeli occupation. So far this year, a number of Palestinian families have received the remains of relatives who were killed by Israeli forces and whose bodies had been held in Israel, and the number is expected to increase.